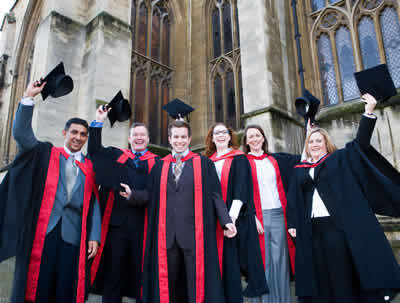 The University has four campuses in and around Bristol encompassing 9 faculties and covering a wide range of disciplines. In addition, we also have an Associate Faculty in Gloucestershire and regional centres in Bath, Gloucestershire and Swindon. The University is continually developing, and a massive £200m is currently being invested in new facilities including a new Student Village and Centre for Sport on Frenchay Campus. The University offers more than 600 programmes at undergraduate, postgraduate, professional and short course levels. UWE has a history of providing high-quality education and training to students, achieving consistently high assessment scores for teaching quality. The University’s strong links with major employers brings visiting lecturers to share their professional experience and provides excellent placement opportunities for students. The University prides itself on giving its students the knowledge and skills they need to succeed in their chosen career. In parallel with the traditional values of academic excellence, the University is committed to using academic knowledge and skills to find practical solutions to problems. Our research community makes a significant contribution to advances in industry, commerce, public services and the professions, both nationally and internationally. Through the breadth and quality of its teaching and research, and by providing expertise for businesses, UWE makes a major contribution to the social and economic development of Bristol and the region. 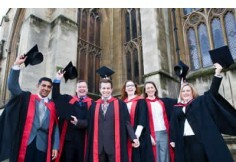 Fundamental to all the University's activities is the way it interacts with its partners. In close collaboration with regional schools and colleges, UWE's impressive widening participation activity reflects the diversity of the local population. Research, student placements and support for development of new enterprise exemplify our close relationship with the business community.